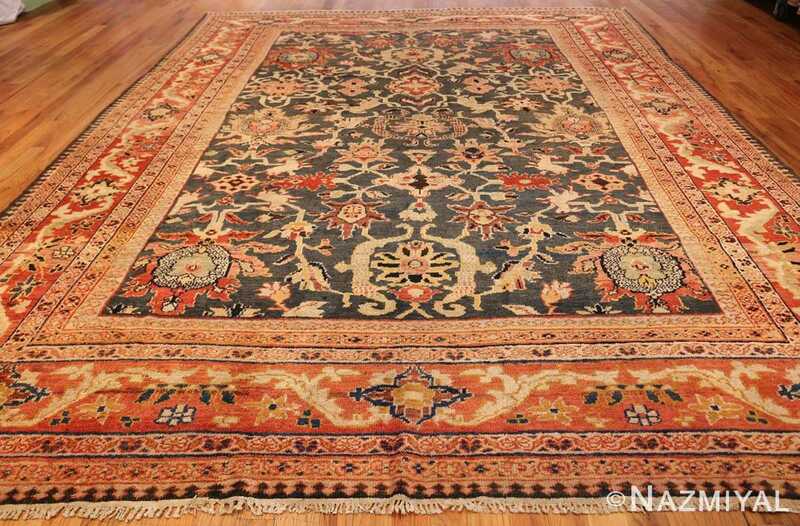 Jaw Dropping Green Background Antique Persian Ziegler Sultanabad Rug , Country of Origin / Rug Type: Persian Rug, Circa Date: 1900’S – This magnificent antique Persian rug, that was woven by the esteemed Ziegler and Co., features a rare color combination and extremely whimsical pattern. 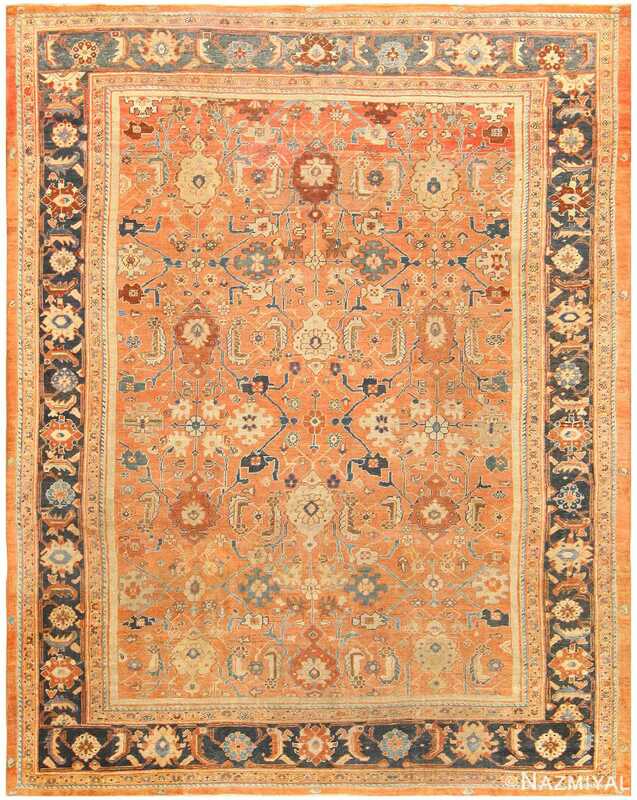 The main field of this beautiful antique Persian Ziegler Sultanabad rug, showcases a brilliant and rare green colored background. 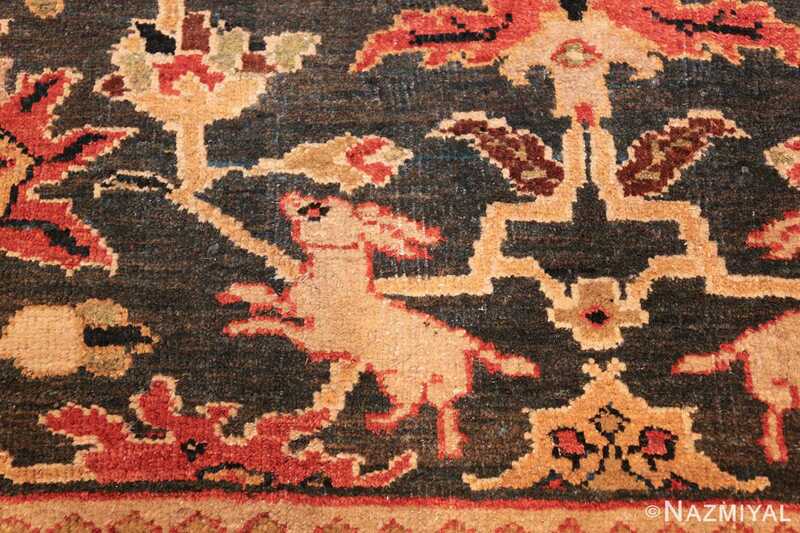 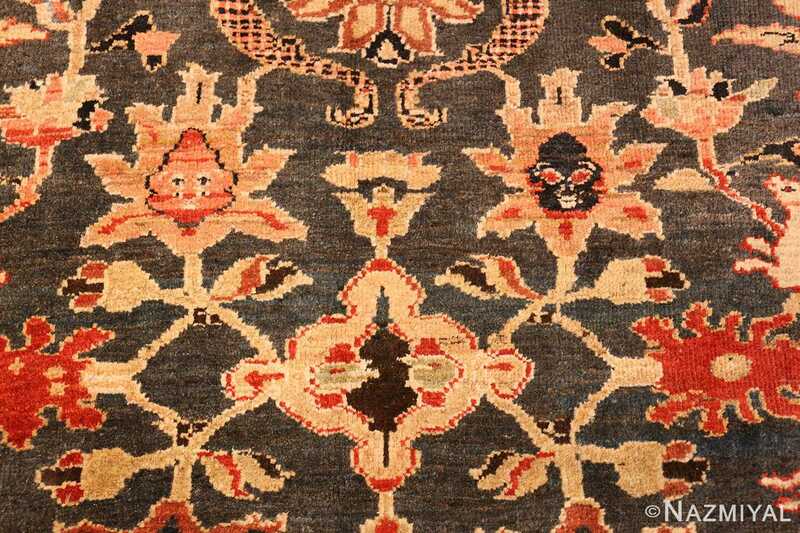 Woven throughout are various floral designs are mischievous looking faces that exude childlike innocence. The flowers and designs are interconnected by vines which move in geometric fashion throughout this antique Oriental rug. Occasionally flower buds appear in the vines, while rabbits and sheep frolic happily throughout the scene. 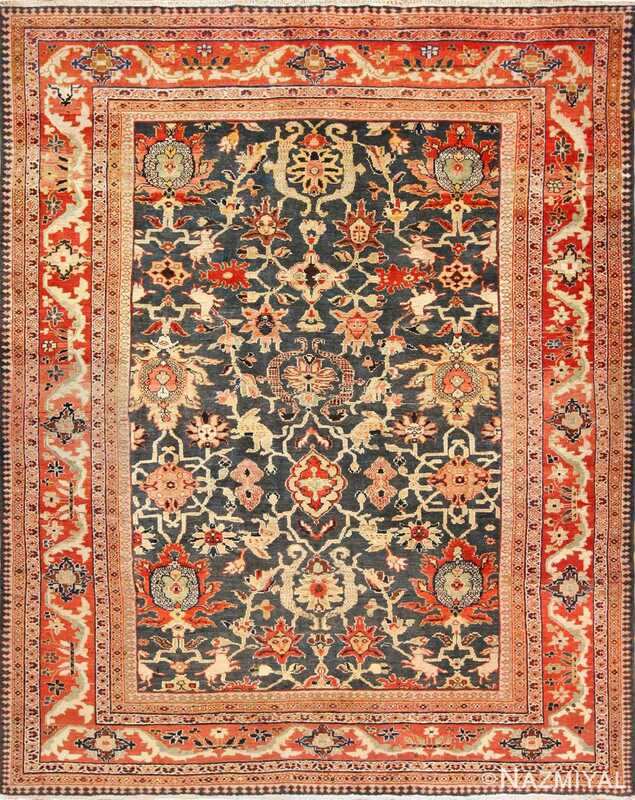 Most of these rug designs are in a pale colors, which creates a beautiful juxtaposition against the darker green colored background. The beautiful field of this antique Persian Sultanabad rug is framed by three narrow of borders, followed by a main thicker one, then three more narrow ones. 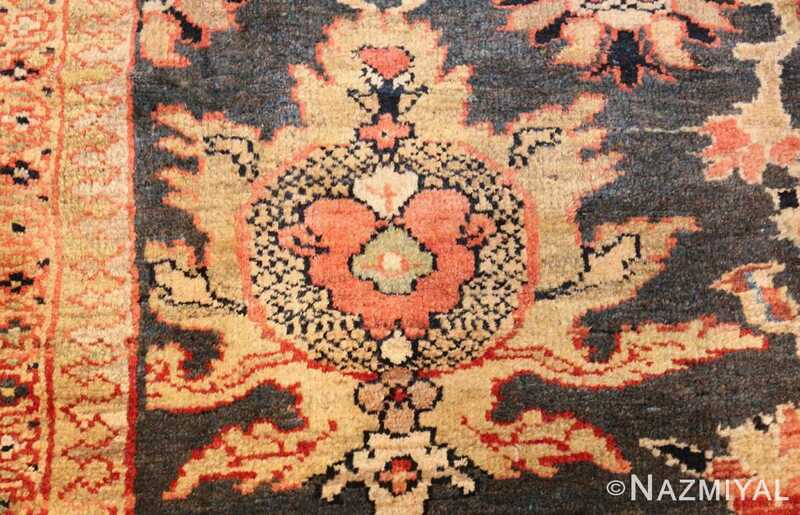 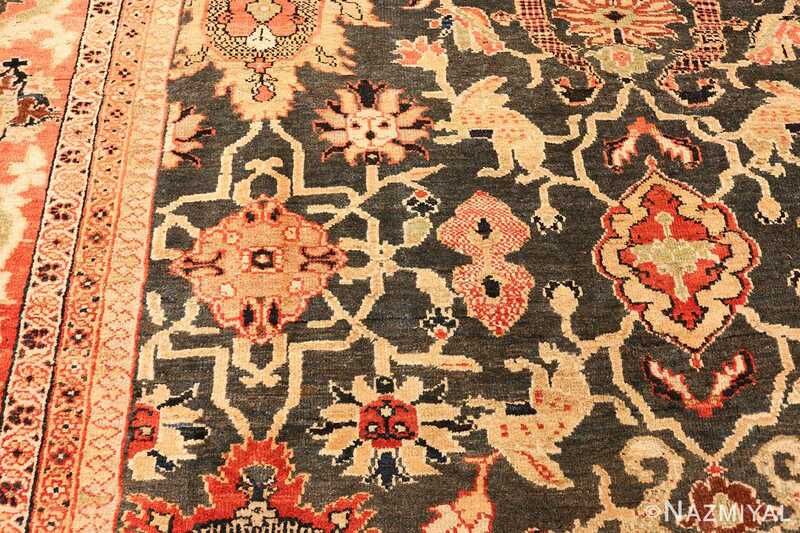 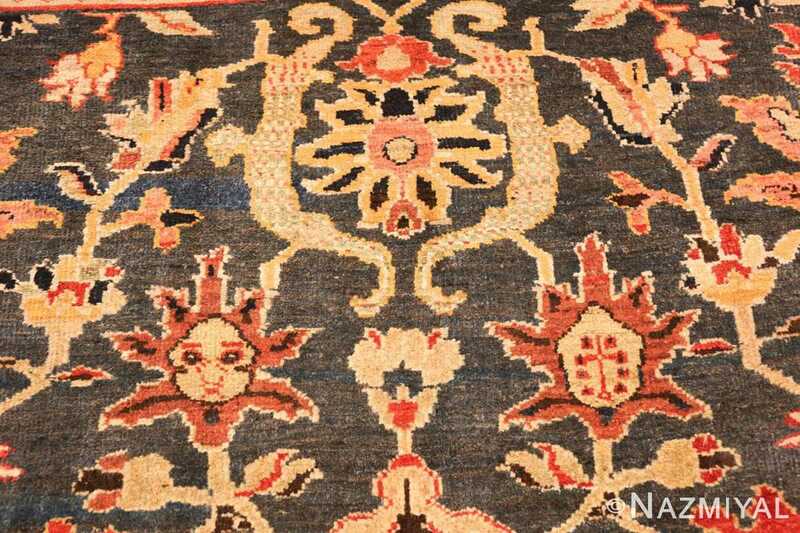 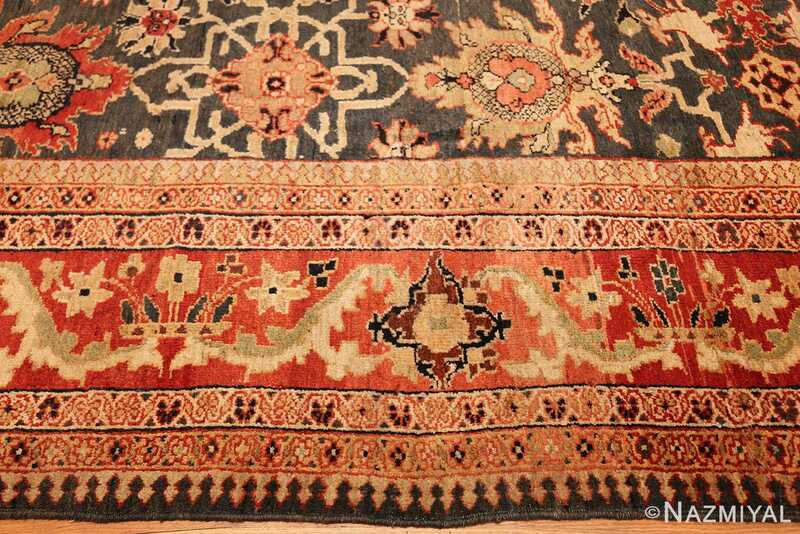 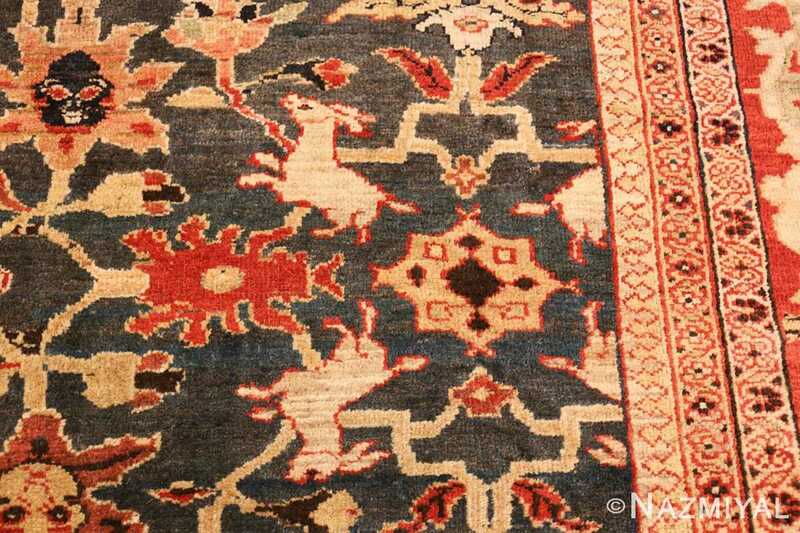 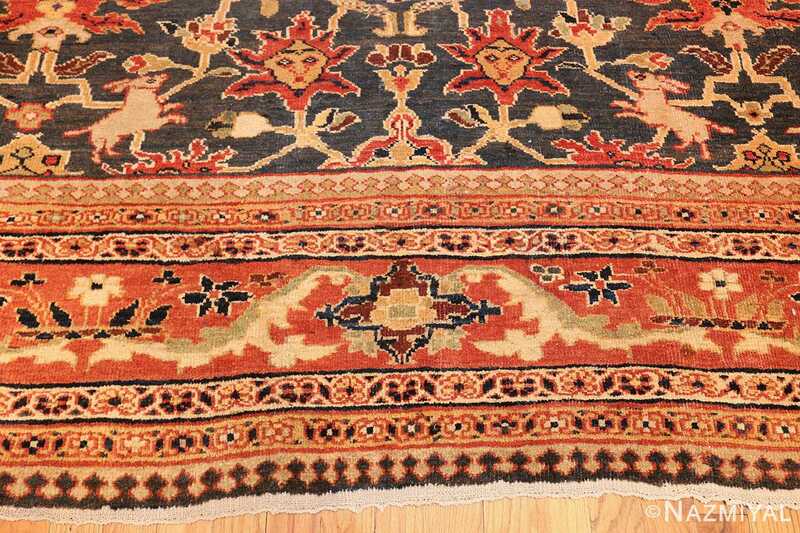 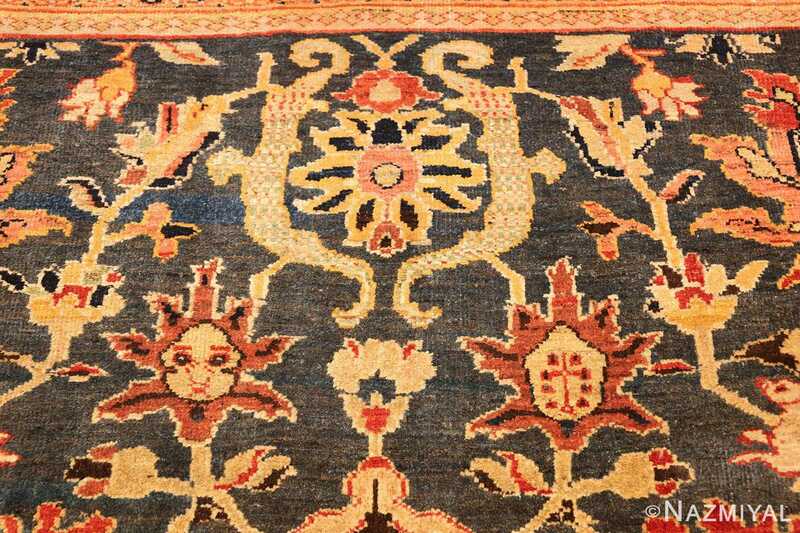 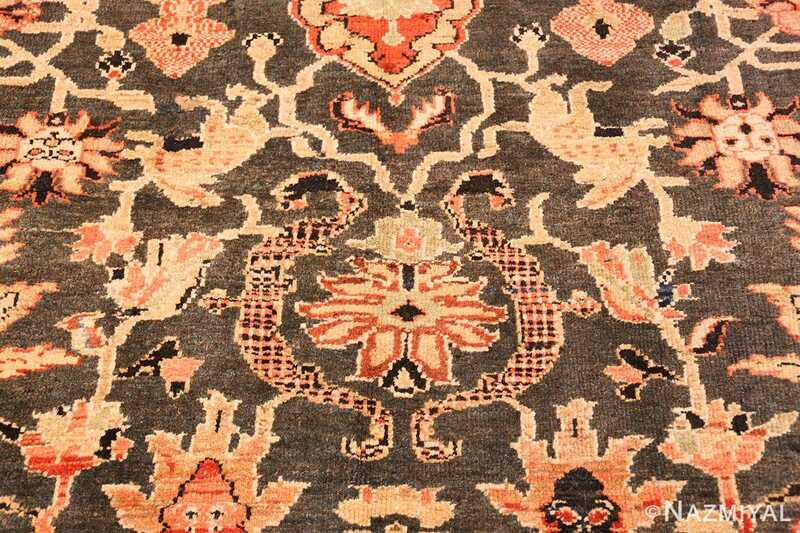 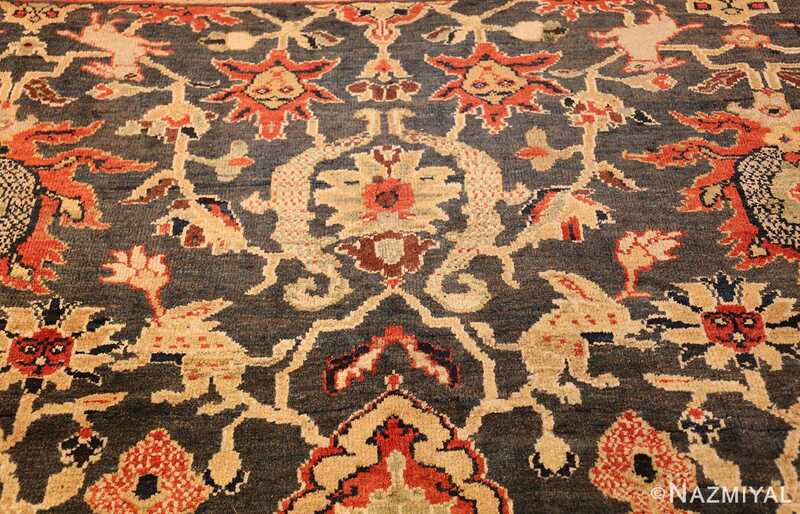 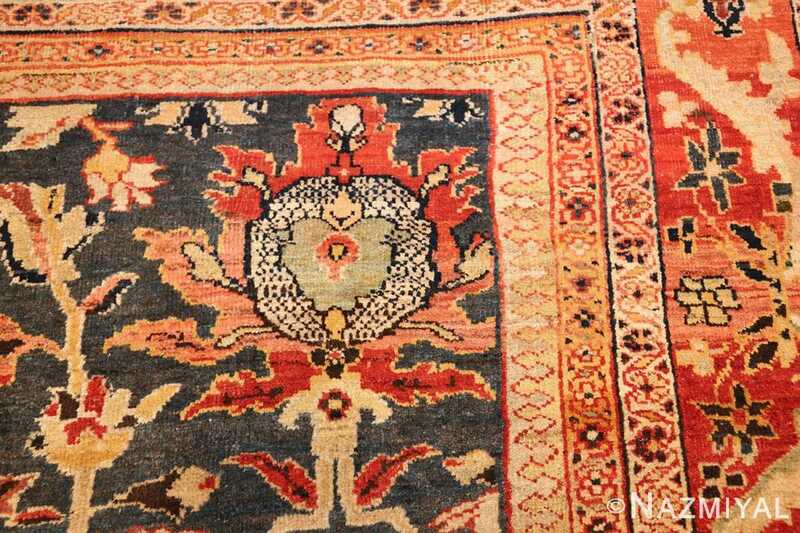 As in the center section, the main border design motif seems to be vines and flowers in colors that perfectly balance the overall look and feel of this antique rug. 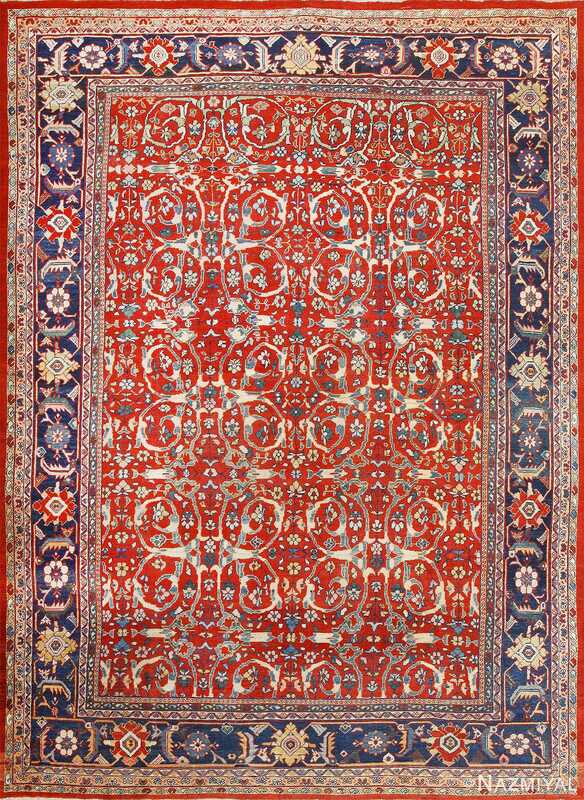 The larger border consists of many larger blossoms and smaller ones sprouting from the vines between them; the narrower borders are naturally less elaborate but far more intricate. 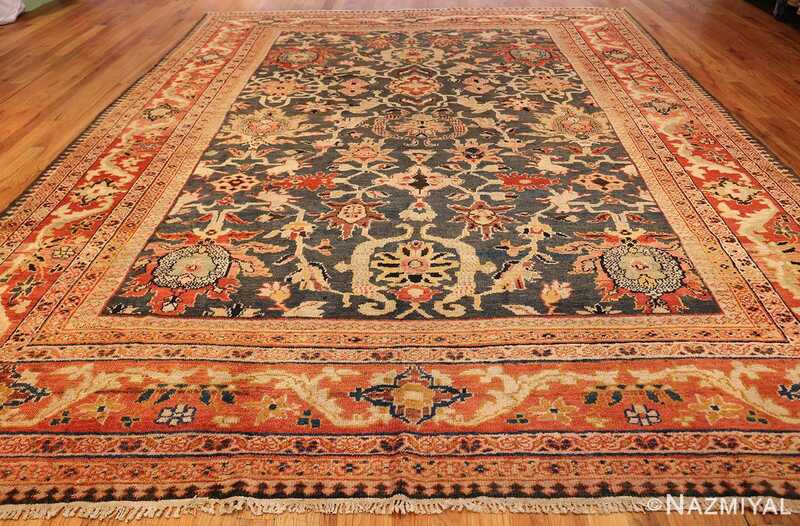 This bright, vibrant green background antique Persian Ziegler Sultanabad rug is a masterfully detailed historical piece. 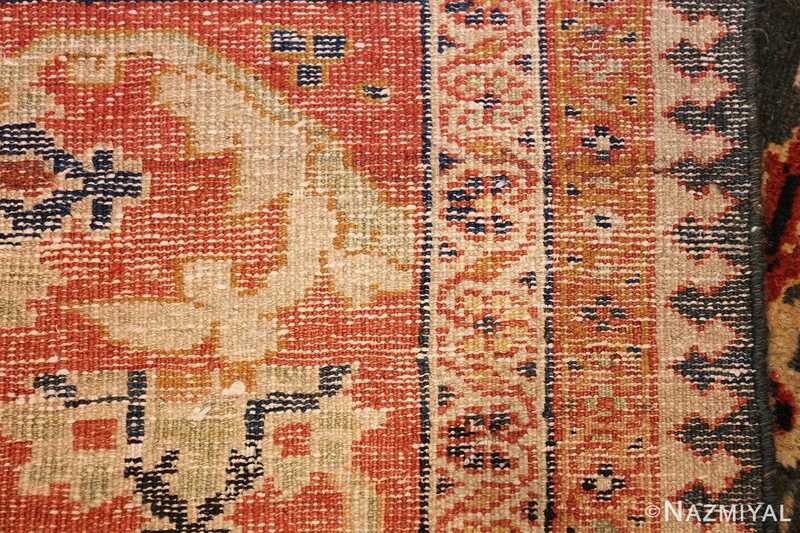 Careful examination of it reveals much about the history of this art, but beyond that is also a window into subtle but complex beauty. 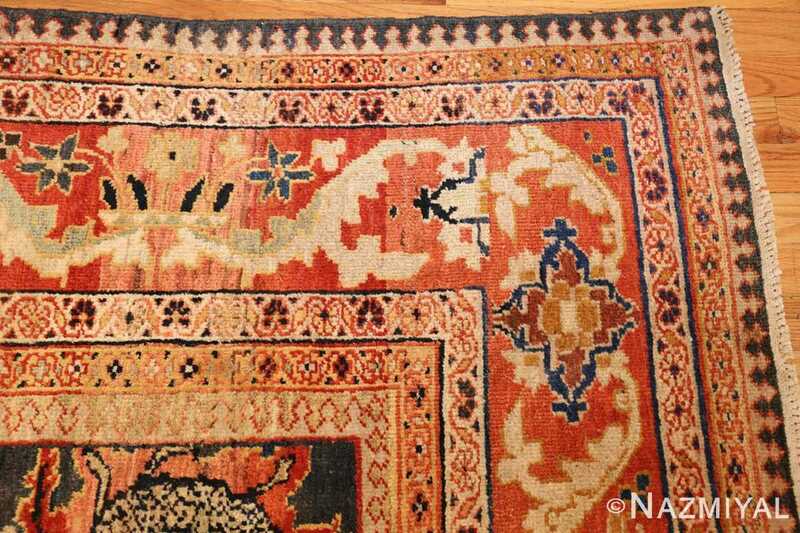 This piece is so fascinating and even after years of looking at it, “new” never noticed before design elements keep popping up. 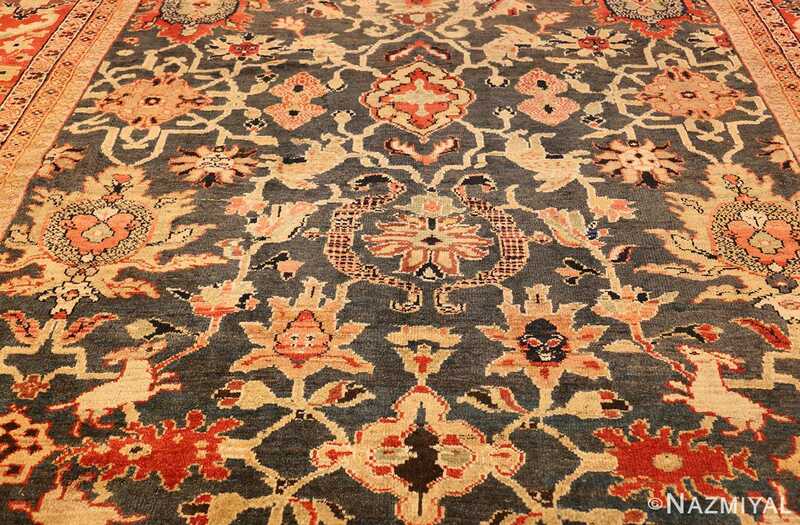 A true masterpiece, in every sense of the word, this carpet is quite transitional. 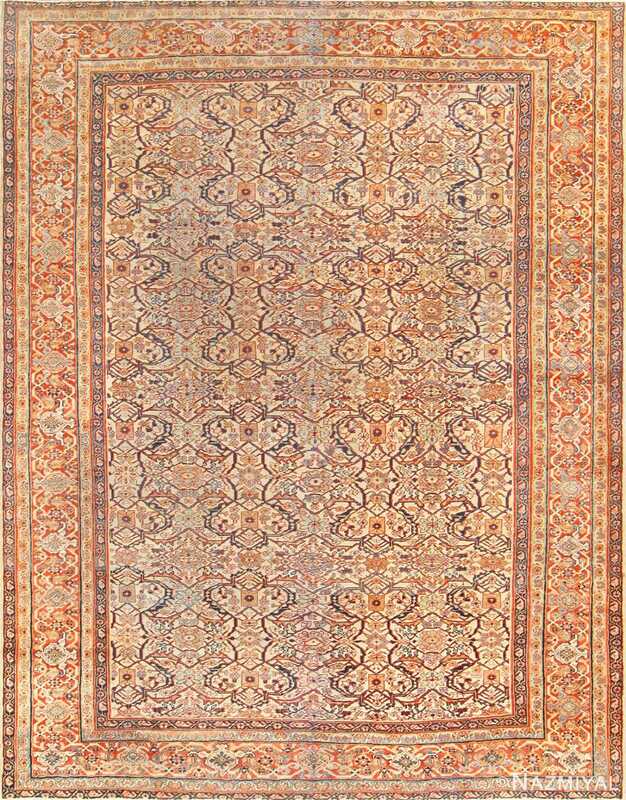 It is so versatile that it could easily work in most interior design settings. From classic traditional interiors to more modern decors, this rug is sure to enhance and effortlessly work off its surroundings. 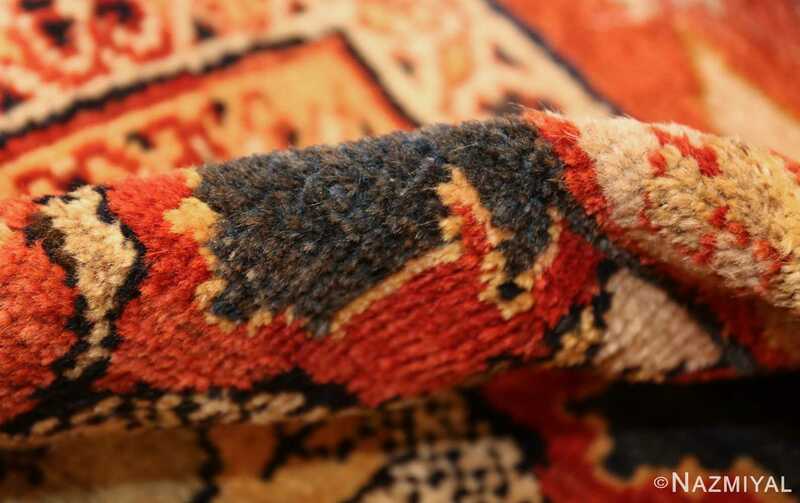 As is the case with such beautiful works of textile art, this piece is timeless in every sense of the word.